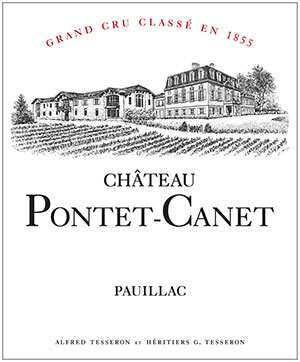 Tasted at BI Wine & Spirits' 10-Years-On tasting, the 2007 Pontet-Canet has an upfront bouquet with (for the vintage) quite lavish red and black fruit tinged with violet and creme de cassis. The palate is sweet and opulent, displaying impressive concentration and a velvety blueberry and black cherry finish that lingers long in the mouth. You would never ascribe this to the 2007 vintage, a Pontet-Canet determined to overcome the limitations of the growing season. In a sense, it succeeds, yet it must sacrifice some of its Bordeaux typicité in the process. Tasted February 2017.